On Wednesdays throughout the year, we gather in the Lady Chapel for Contemplative Prayer at 11 am followed by a Healing Mass with Laying on of Hands and Unction at Noon. No matter who you are, and no matter what your background, you are welcome to join us as we seek to share the Gospel of Jesus Christ in Somerset County. Originally, St. Andrew's Episcopal Church was known as Somerset Parish. The church was established in 1692 by an act of the Colonial Legislature of Maryland. The Original Book of Common Prayer and Bible used by our forbears may be seen in the nave, and on High Holy Days, the silver Communion Service given to the parish by Queen Anne is often used. In 1770 a chapel of ease was built in Princess Anne. In time this church became the main parish church. On November 11, 1845, the chapel was consecrated and dedicated to the patronage of St Andrew by the Rt. Rev. William Whittingham, the fourth bishop of Maryland. In 1859 a bell tower was erected, and in 1865 the nave was renovated to its current form. In 1897 the sanctuary and chancel were enlarged and raised, and the marble high altar, given in memory of The Rt. Rev. Henry Lay, the first bishop of Easton, was installed. These changes reflected the Anglo-Catholic revival which was brought to Somerset Parish by Nashotah graduate Father J.O. Barton, who served the parish for 23 years. 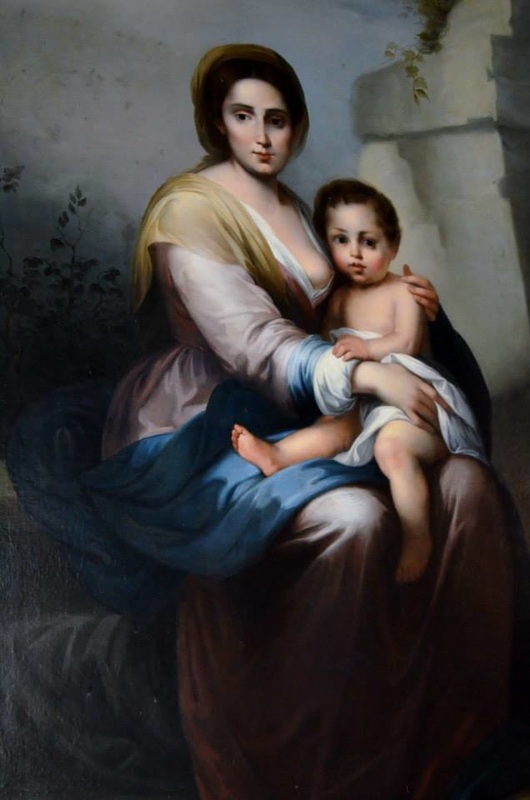 In 1935 the Lady Chapel was built, in which a beautiful reproduction of the Murillo Nursing Madonna was given as a memorial gift to hang above the altar. Today, beautiful modern stained glass windows adorn the Lady Chapel, telling the story of St. Andrew's Episcopal Church. Other memorial gifts which glorify God and hallow this holy place with beauty include the Epiphany Mosaic above the High Altar, and the St Francis Window, given in memory of All Souls.